Shopify is this week starting to hire Gurus, the company’s customer support agents, to work remotely in the Galway region. The new operations will allow the company to better serve their international merchants across any time zone. Headquartered in Canada, Shopify has over 600 employees and currently powers more than 165,000 stores in approximately 150 countries. The company announced last week that it is to create fifty jobs in Galway. The company is a leading cloud-based commerce platform designed for small and medium-sized businesses. Merchants can use the software to design, set up and manage their stores across multiple sales channels, including web, mobile, social media, brick-and-mortar locations, and pop-up shops. This provides a merchant a single view of their business. The Shopify platform was engineered for reliability and scale, using enterprise-level technology made available to businesses of all sizes. 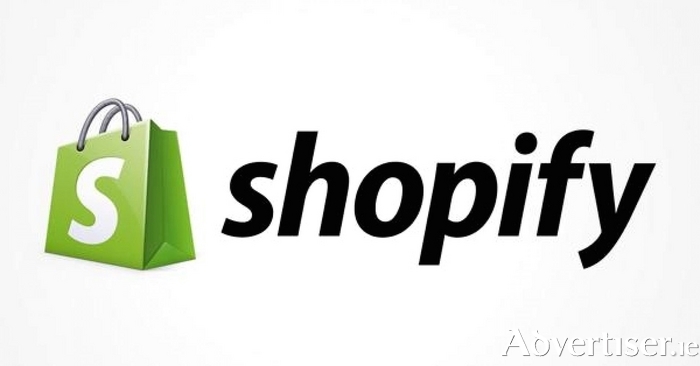 Shopify currently powers over 165,000 businesses in approximately 150 countries, including: Tesla Motors, Budweiser, Google, Wikipedia, LA Lakers, GoldieBlox, and many more. Minister Richard Bruton who made the announcement said the Government has specifically targeted online industries as part of its Action Plan for Jobs, and over the past four years it has seen major growth in this area. “We can now justifiably call Ireland the internet capital of Europe. Today’s announcement that Shopify is opening operations in Galway and looking to hire up to 50 positions by 2016 is a great boost for the West, and a further great example of what is possible right across the country in this sector. I wish the team every success with this investment”. Welcoming the announcement Galway West and Mayo South TD, Sean Kyne said that the creation of 50 new jobs to commence early in 2016 is hugely positive for Galway and the West and will further help drive down unemployment figures. The most recent figures for Galway show that the Live Register has fallen by almost a quarter since the launch of the Action Plan for Jobs in February with over 5,500 people coming off the Register. “While the company plans to serve international customers via Galway there is clear potential for local SMEs in the West and across the country. A key strategic measure of the Action Plans for Jobs is to get more Irish companies trading and selling online. “Having a company such as Shopify which specialises in e-commerce platforms for SMEs will, along with the Trading Online Voucher, encourage and entice SMEs in Galway, Mayo and the West to develop an online store and reap the opportunities for growth and expansion that this brings,” concluded Deputy Kyne.